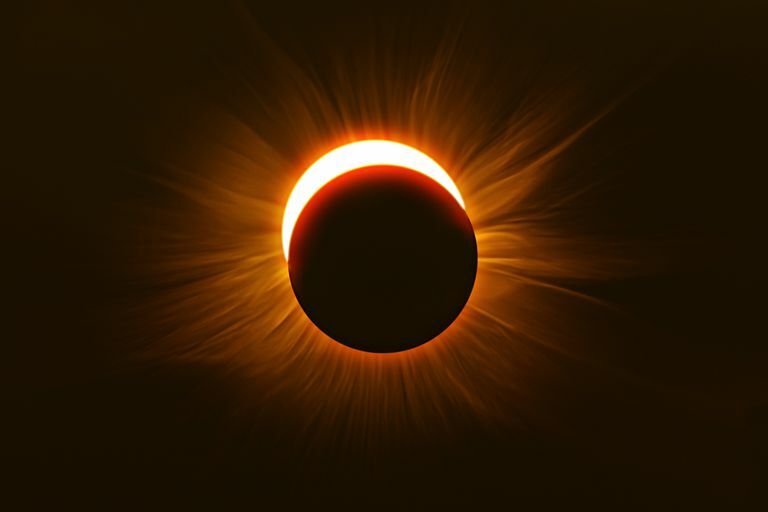 Solar eclipses are amazing events that shouldn't be missed if they're in your area, or you're willing to travel to a location where one is occurring. Many people love viewing solar eclipses, but because it's never safe to directly look at one, viewers must take the proper precautions. If you don't have a pair of eclipse glasses, a pinhole projector is another easy and inexpensive option. Again, when viewing an eclipse, never look directly at the sun, as doing so can damage your eyes. Take your cereal box and cut two square openings into the top of the box. Place the cereal box on top the sheet of white paper. Trace a cereal box-shaped outline onto the paper. Cut out the cereal box-shaped section of the paper. Place this paper cut out inside the box, pushing it all the way down so it lays flat at the bottom of the box. Secure the paper with tape if you need to. Place your aluminum foil over one of the square openings at the top of the box. Tape it down so it's secure on the box. Take your nail, pin, or thumbtack and poke a hole in the aluminum foil. Depending on the size of the object you use you may have to move it around to make the hole larger. Don't make it too large and try to keep it circular. Making a pinhole projector can be done in as quickly as ten minutes. Once completed, if the eclipse has started you can go outside and use the projector right away. Stand with your back facing the sun. Take your projector and hold it downward, placing the still open cut out over your eye. The part of the box with the aluminum foil should be facing the sun. You may have to adjust the box and your own position to begin seeing the eclipse in your pinhole projector. If you can see a little white circle at the bottom of the projector you're doing well. The little white circle is the Sun. When the eclipse starts you'll see a shadow move over the white circle. This is the Moon moving in front of the sun. At the height of the eclipse, you'll be able to see a thin crescent of the Sun. the eclipse will then wane and the Moon will begin to move away from the Sun.